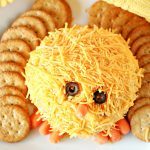 This Easter Chick Cheese Ball Recipe is an easy appetizer that’s also fun and cute for Easter Sunday! Made with only 7 ingredients, this delicious cheeseball is wonderful with crackers, pita chips, or veggies. There are probably items on your Easter menu that will take a bit of time, but that doesn’t mean everything has to be. 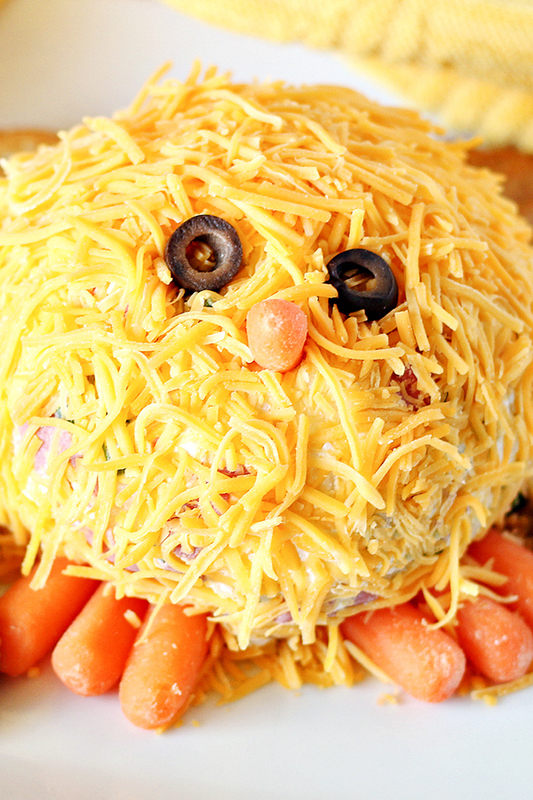 This Easter Chick Cheese Ball Recipe is super easy to make and SO adorable on your table. 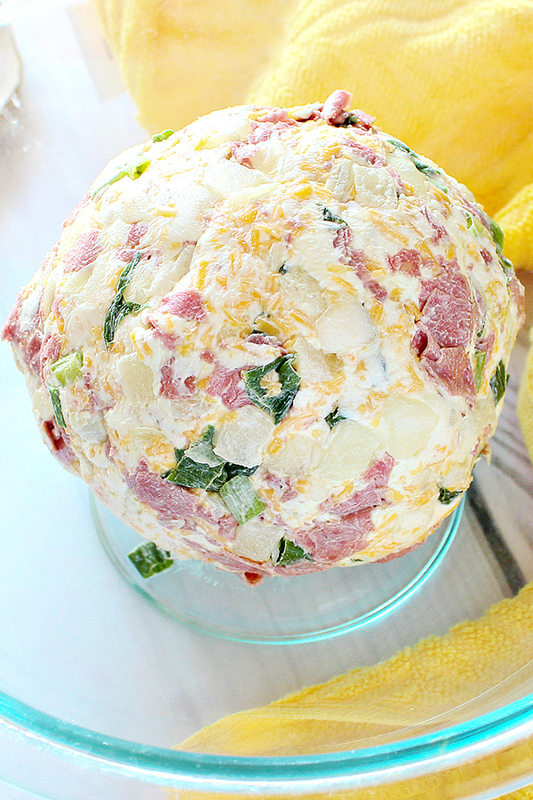 This Easter cheese ball only needs 7 simple ingredients and anyone can make this. Seriously. Even you usually by premade cheese balls at the grocery store (like I used to), you can make this one and your guests will be so impressed. The first time I made a homemade cheese ball was my Pina Colada Cheese Ball. It’s another great one for holidays and get-togethers. Before making that one, I used to think making cheese balls would be complicated but quickly realized that they are easy to make and so delicious. To make your Easter cheese ball, you’ll place the brick of cream cheese, 1 cup of shredded cheese, onions, and the beef into a mixing bowl. Mix the ingredients together until well combined. With the cream cheese mixture still in the bowl, shape it into a ball. Place shredded cheddar cheese on a place and roll the entire ball in the cheese, pressing the cheese into the ball so that it will adhere to the ball. Finally, place the cheese ball on a serving plate. Take 3 of the baby carrots and press them under the bottom front left of the cheese ball to resemble feet. Repeat with 3 carrots on the front right side. 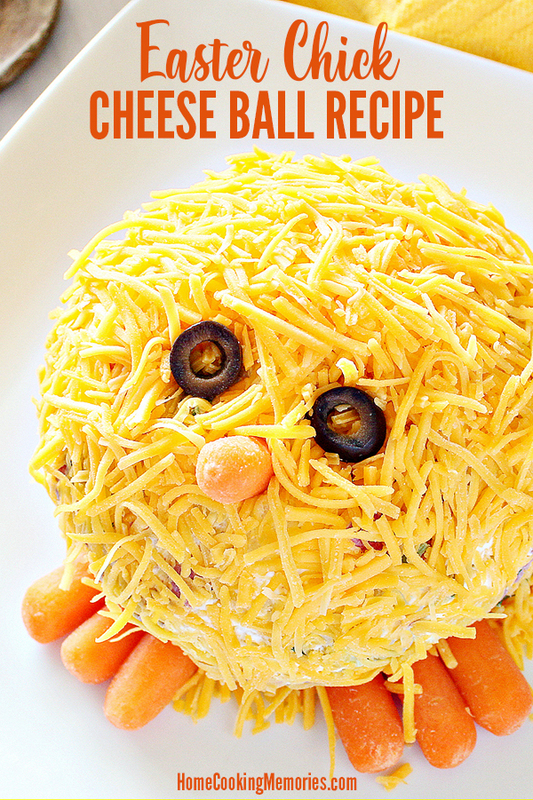 Press one baby carrot into the cheeseball near the top middle to create a face, as shown. Press two olive slices for eyes slightly above the “beak” carrot. If necessary, remove a bit of the cheese in the area to help them adhere. To serve, place crackers, pita chips, or veggies (like celery), around the Easter Chick Cheese Ball. Guests can spread the cheese ball mixture on their crackers, etc to enjoy. 1. Place cream cheese, 1 cup of shredded cheese, onions, and beef into a mixing bowl. Mix with hands or a spoon until well combined. 2. Shape cream cheese mixture into a ball. 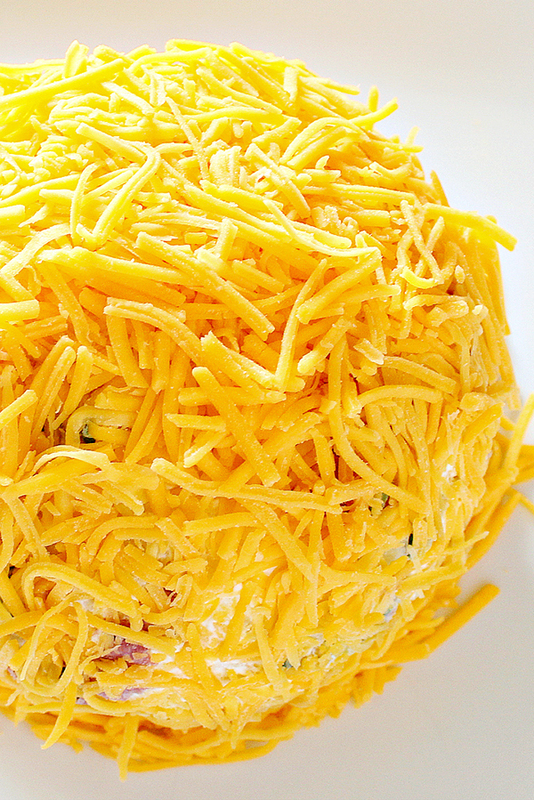 Roll the entire ball in shredded cheese, pressing the cheese into the ball and pack well. 3. Place the cheese ball on a serving plate. Place 3 baby carrots on the bottom near the left of the ball for feet, as shown. Repeat with the right side. Place one baby carrot in the middle of the face for a beak, as shown. Press two olive slices for eyes slightly above the “beak” carrot. If necessary, remove a bit of the cheese in the area to help them adhere. Serve and enjoy! 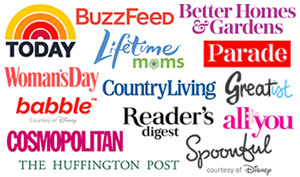 –Prefer a vegetarian cheese ball? The beef deli meat may be omitted. 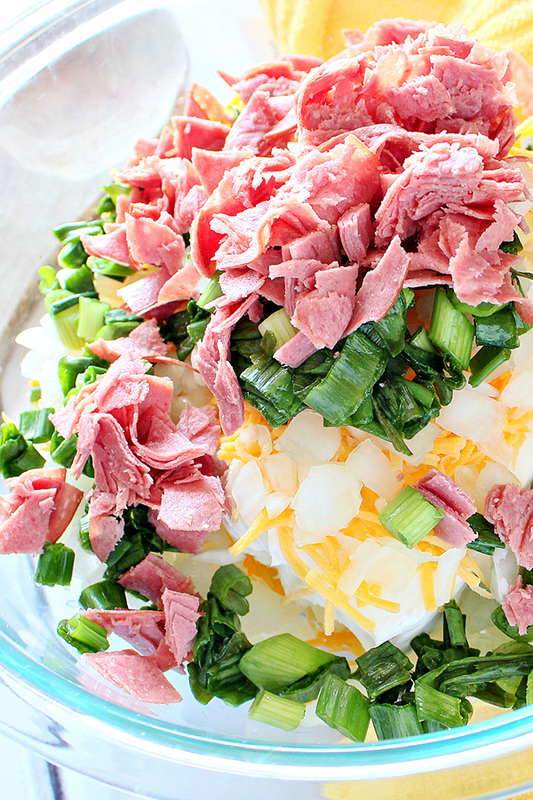 –This cheese ball is easy to customize! Some ideas: cooked bacon pieces can be used instead of the beef deli meat, onions can be left out if you prefer or you can use finely chopped roasted red bell pepper instead, use other types of shredded cheese inside of the cheese ball, etc.